Chilean material, Italian design and 30 years of experience make Custom Shoes by Zapato Sanchez a shoe brand to watch. On a shopping trip to West Edmonton Mall, a pop of colour smiles at you from beneath a coffee table. It’s a pair of classic men’s Oxford shoes, hand-cut, hand-sewn and hand painted. You may know nothing about shoe construction, but they are still imminently impressive, and look like they belong on the cobblestone streets of Milan or London, below an expertly cut suit. Chances are, Rodrigo Sanchez had a hand in making those shoes. 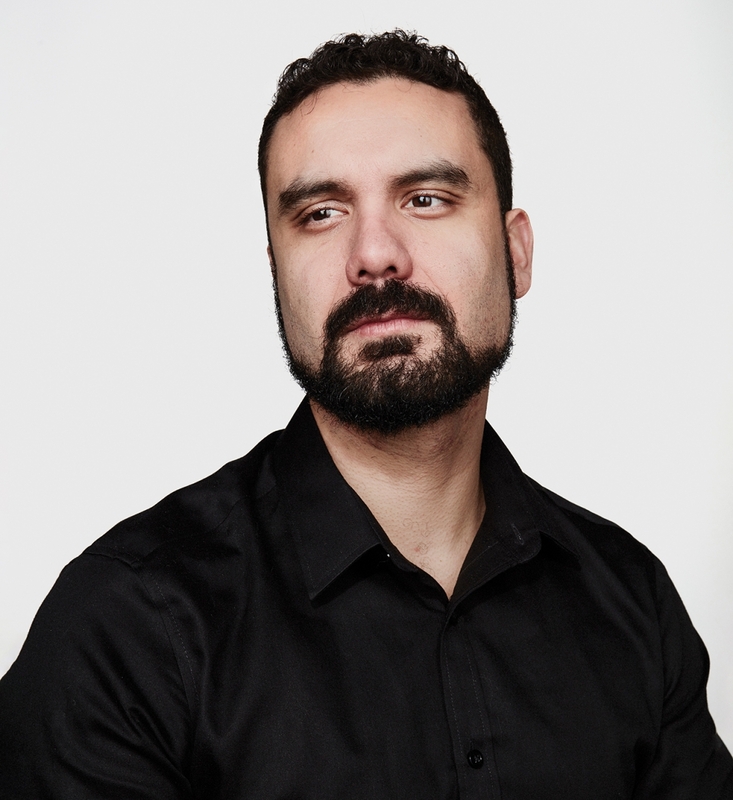 He’s the entrepreneurial force behind a bespoke men’s shoe designer in Edmonton, Custom Shoes by Zapato Sanchez. A third-generation shoemaker who trained in Milan, Sanchez works 66 hours a week to keep up with the demand for his footwear. He paints the subtle fade into the leathers and draws the design for each shoe (by hand, no less). 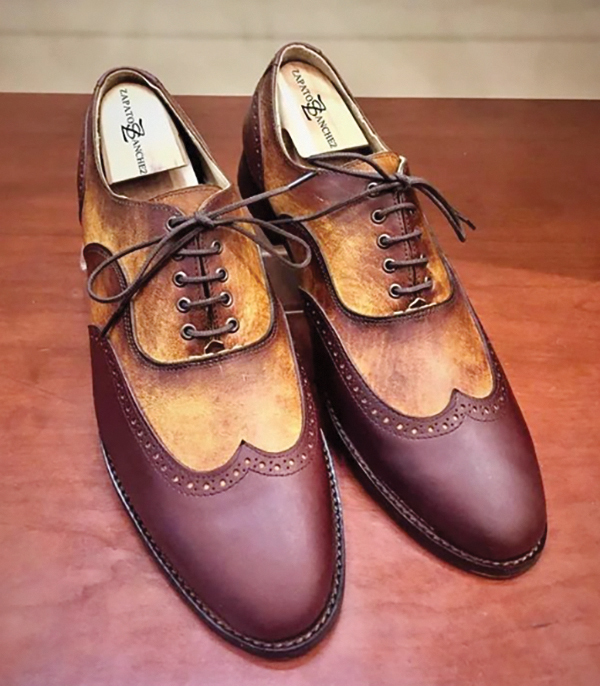 While the name Custom Shoes by Zapato Sanchez is only a little more than a year old, the shop has been around for 33 years as a cobbling business run by Sanchez’s father, a master craftsman and the creative force behind the brand. Sanchez’s father works on the exteriors of the shoe, his mother sews the lining — making sure the inside is as beautiful as the outside — and Sanchez’s sister sources leather from their native Chile. “I love it when I can see someone walking down the street wearing a piece of art that I created with my family,” says Sanchez. While investors have approached Zapato Sanchez looking to fund a shoe line, Sanchez knows the high-end shoe industry isn’t easy to crack: The current sneaker craze has fashion icons modelling how you can pair a pair of Jordans with anything, including wedding attire (Dirks-Fafard says Gravity Pope sells double the amount of sneakers than dress shoes, confirming that the trend is still in full swing), and Zapato Sanchez is located right next to the Designer Shoe Warehouse, filled with shoes of every style and colour, priced to be highly consumer friendly. For him, the joy comes from his family, and the work. He describes how a customer — typically an older, austere businessman — will try on his new pair of Sanchez shoes for the first time, smile in the mirror, and do a little soft-shoe tap dance to celebrate how comfortable they are. “It never gets old to see fully grown, 60-year-old men do that,” he says. 1. What kind of foot do you have? 2. In what kind of environment will you be wearing them? Wear-and-tear can be a huge part of what goes into making a shoe, especially if it’s going to be something you’re walking in every day. Special considerations will have to be made concerning how it will handle mud, rain and snow. 3. Are they for work or special occasions? Depending on your work, you may be standing throughout the day, so a shoe should be made with comfort as the focus, and be more subdued so it can work with many different outfits. A shoe for special occasions can be more ostentatious and designed around a specific outfit. 4. What colours do you wear most often? 5. How bold are you? “It’s hard to rock a shoe when it’s many, many colours,” says Sanchez, “but I try to expand their minds to get them to think outside the box by giving them little accents.” This can come from the shoe’s piping, a fade in the leather, stitching across the toe or even as little as the shoelaces. This article appears in the February 2019 issue of Avenue Edmonton.